In a nutshell, my vocal coaching will make you a better singer in almost any style. Just as my classical training in art songs and arias—sung in English, French, Italian, German, and Latin—continues to help me sing big band and small group, my tips, tricks, and assessments will help you not only put your best voice forward but also continue to improve. Singing should be effortless and in tune with great style. My method is simple: Straight ahead and strive for tone. 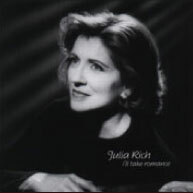 “As music director for The Glenn Miller Orchestra, I worked with Julia Rich for 20 years. She was our girl singer and vocal group leader for most of my tenure with the band. As a vocalist, she sings the melody correctly—which is rare—allowing her to dig into the lyric to try to express what the composer and lyricist meant to convey. She always succeeded. “The instrumentalists who sang with The Moonlight Serenaders were not professional singers, but Julia made them sound like they were, both individually and in the group. Even through personnel changes, I could rely on Julia to keep the Serenaders sounding great, to do the tunes justice. She was never afraid of a challenge and always found a way to make it work; for instance, when I asked her to have the group start Dream a cappella and maintain the pitch and rhythm until I brought the band in. She was so successful with the vocal group, it enabled me to do some of the more demanding arrangements that weren’t as well-known as Chattanooga Choo Choo and Kalamazoo but were popular with Glenn Miller aficionados. 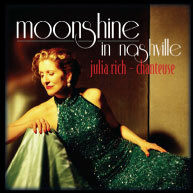 Julia also prepared the Moonlight Serenaders for our recording sessions. “As for featured vocalists, some came to us fully equipped, while others brought the raw material—a good voice and musicality—but not proper technique, because the style isn’t prevalent today. 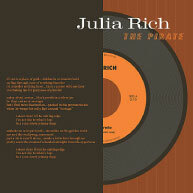 Julia taught them to sing the songs in the style—with the correct melody—and to impart meaning and emotion to the material, so as to be acceptable onstage. She taught them authenticity and consistency: it had to be right and it had to be good, every day. The old singers—the ones who made these songs popular—sang the melody and let the song carry its own message. Of the great ones, I would put my friend and former band mate Helen Forrest at the top of the list. Donald Mills (The Mills Brothers) said it best. Vintage Pop, Country, and Folk – Especially ‘50s through ‘70s – Songs in this category have great crossover potential and can be sung as traditional jazz standards with jazz instrumentation or, like standards, can be adapted to your own inventive style and arranging. Writing a good song is like playing a good solo. Sessions may be booked by the hour or according to the situation: master class, clinic, studio/gig support. You may provide your own accompanist, sing with your tracks, or sing a cappella. You may choose your own songs or learn new songs in a specific genre. Private lessons: Upon hearing your voice, I will provide you with not only exercises but also a list of songs/artists for listening and singalong. This tune list will be specific to your voice and personality and will help develop and enhance your style. You may take solo lessons or with your harmony group. Onsite support is available for recording sessions, rehearsals, live shows, video shoots, photo shoots, wardrobe selection. Assessment of or creative assistance with your musical project—writing a song, developing and writing a show, creating an album or website, help with text—can be booked by the hour or by the project. 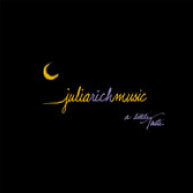 Contact me for a consultation via the CONTACT page on my website www.juliarich.com.